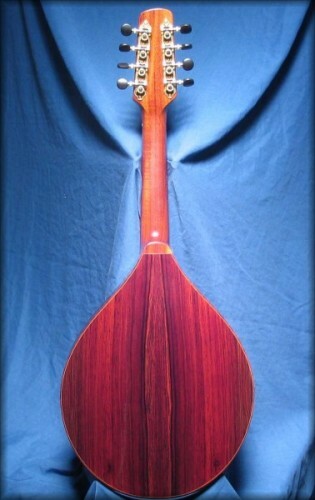 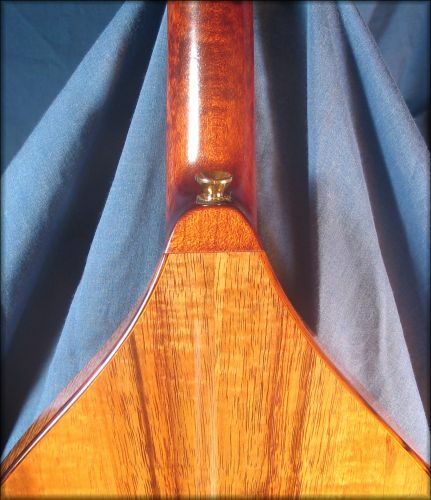 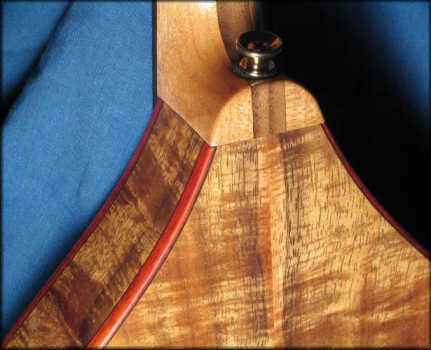 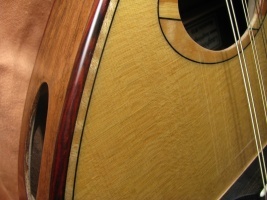 The top and back are not carved but arched into a 10' radius with a bracing pattern that provides the structural integrity, acoustic responsivness, and dynamic range of the great carved top mandolins. 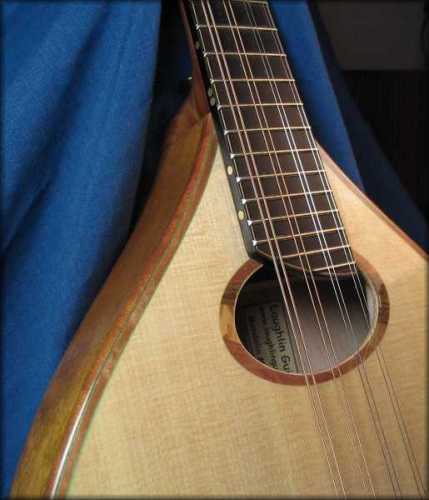 The 'flat-top' provides a sweet sound with excellent sustain that fits well with celtic, swing or classical music. 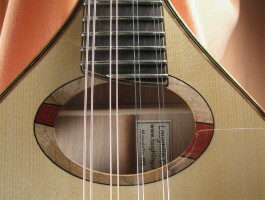 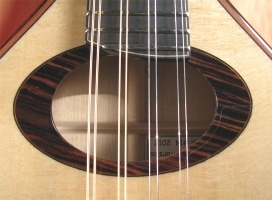 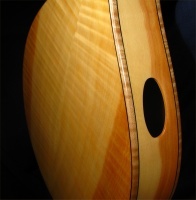 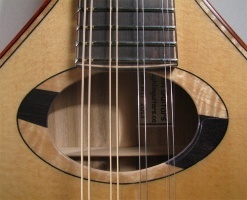 The single oval sound-hole model has a fuller bass response. 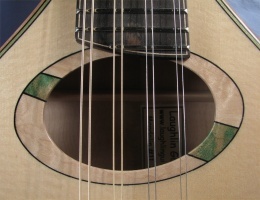 The 'f'-hole model has a punchier mid-range and treble response. 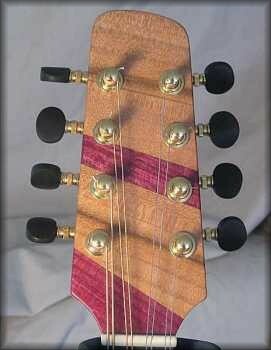 The non-adjustable neck is reinforced with a 3/8" by 1/2" graphite-epoxy bar. 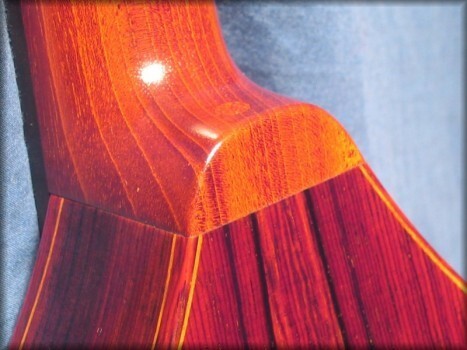 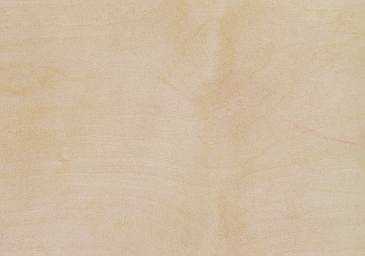 A wide choice of woods both traditional and non-traditional are available for all components. 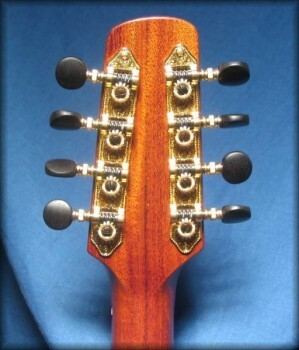 An Allen cast bronze tailpiece is standard equipment. 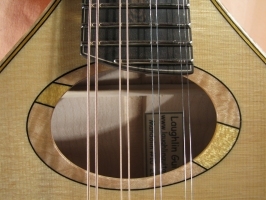 K&K Twin Internal pickup $240 option, permanently installed during the build. 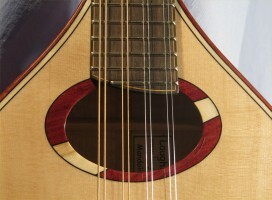 A hardshell case is included in the price. 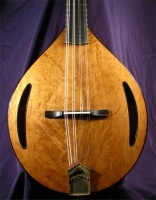 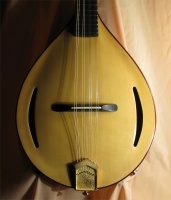 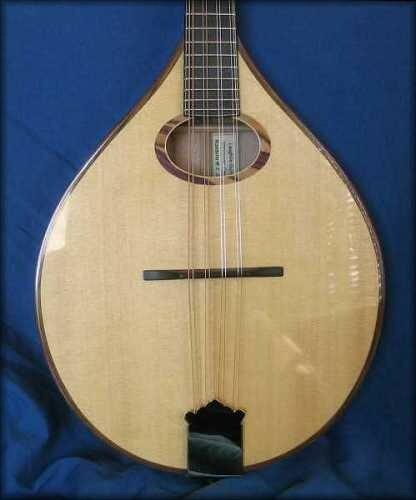 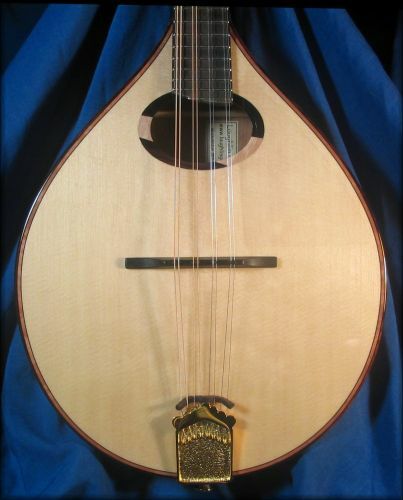 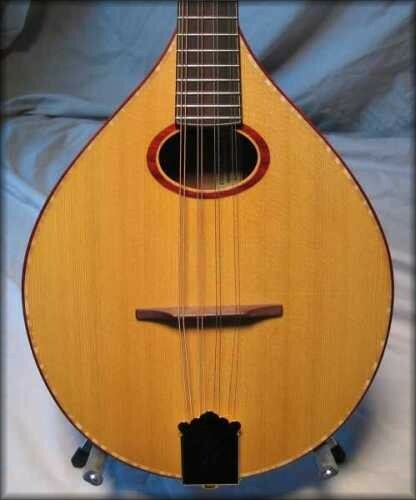 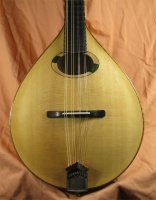 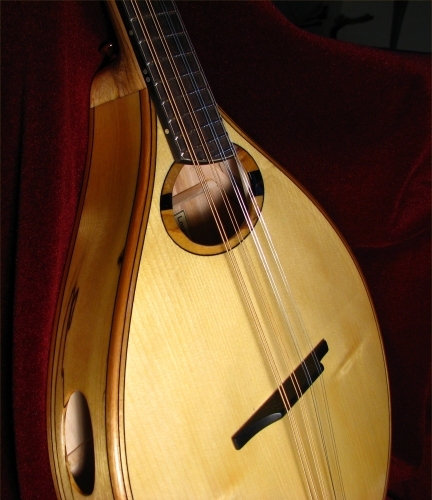 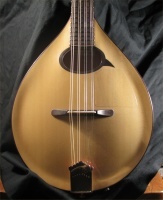 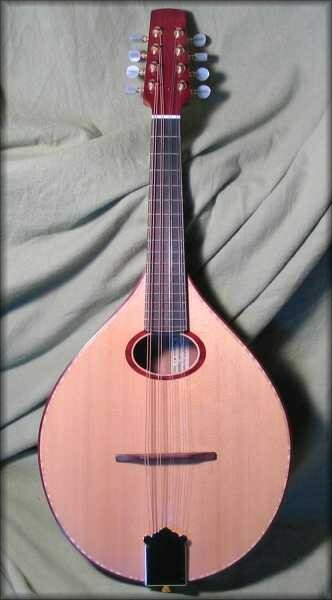 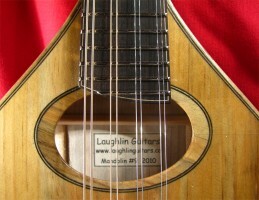 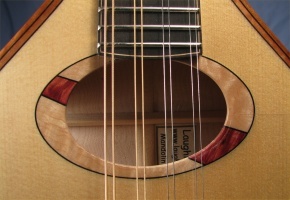 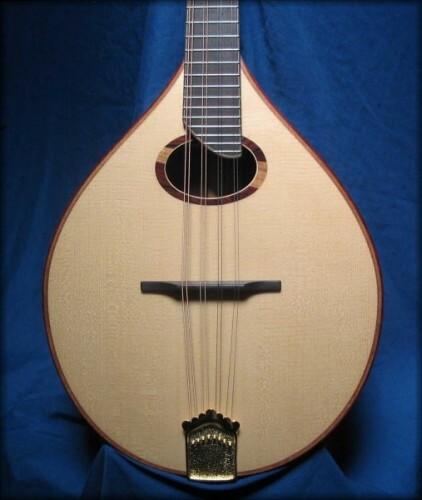 Hear a sample of the Laughlin Mandolin sound.